Homeboy Sandman's fourth album is called First of a Living Breed. The bare facts of Homeboy Sandman's back story don't sound very hip-hop: prep school in New Hampshire, Ivy League B.A., even some pieces for The Huffington Post. But, as is often the case with class and race in America, bare facts don't tell the whole story. Sandman's Dominican-born father was a gifted heavyweight who quit boxing to become a lawyer. His Puerto Rican mom graduated from college around the time her son was winning his third scholarship, this time to law school. He eventually left school to pursue rapping full time, and five years later, he now makes a comfortable living touring the U.S. and Europe, even if his four albums have barely charted. The rapper, born Angel Del Villar II, grew up in an intensely multiracial neighborhood in Queens where hip-hop was everywhere — but as pop music, rather than a prescription for living. He heard it on the block, but he also got into it via a supportive extended family, whose presence he evokes in "For the Kids," a standout track on his fourth album, First of a Living Breed. 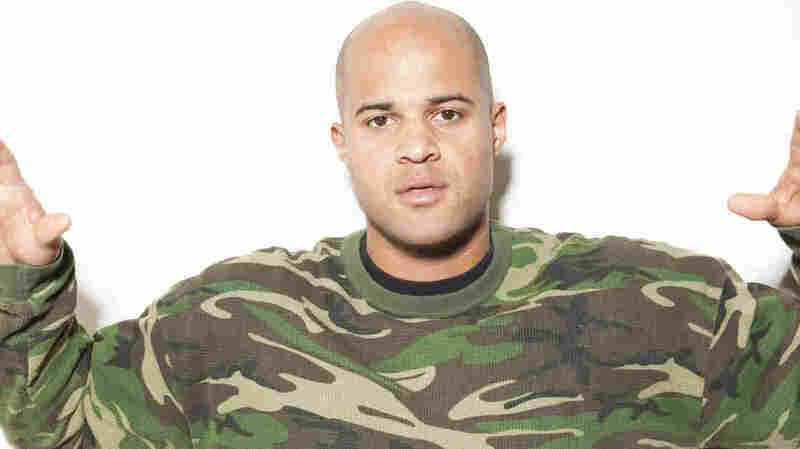 Homeboy Sandman is an unapologetic moralist who won't rap about guns or accept liquor sponsorships. But, in contrast to all too many independent hip-hoppers, his sense of play helps his moralism go down. His delivery has a drawling, almost shy-seeming lilt that's way too sharp lyrically to pass off as soft. A few of the songs on First of a Living Breed are pretty leisurely, but don't think Sandman can't rev up his flow. In the rapid-fire scattershot of "Watchu Want from Me," he skips directly from a romantic kiss-off to a brief explanation of how kids end up in jail. And, true to his hip-hop game, he sounds like he's having fun doing it.